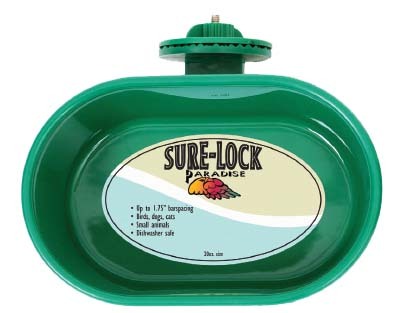 Paradise Sure Lock Cup, 10, Or 20 Ounce. 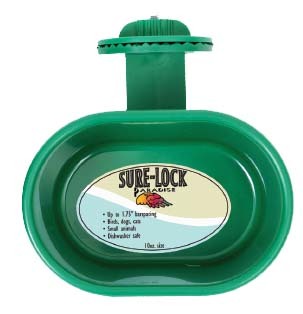 Sure Lock Cups can be use in pet bird cages, parrot travel cages, cat carriers, dog kennels and small animal cages providing a safe, spill resistant source for food and water. Cups can be installed on vertical and horizontal wire.